Supporting the launch of their new cold water infused tea bags, Twinings wanted to get their product into the hands of a health conscious audience. 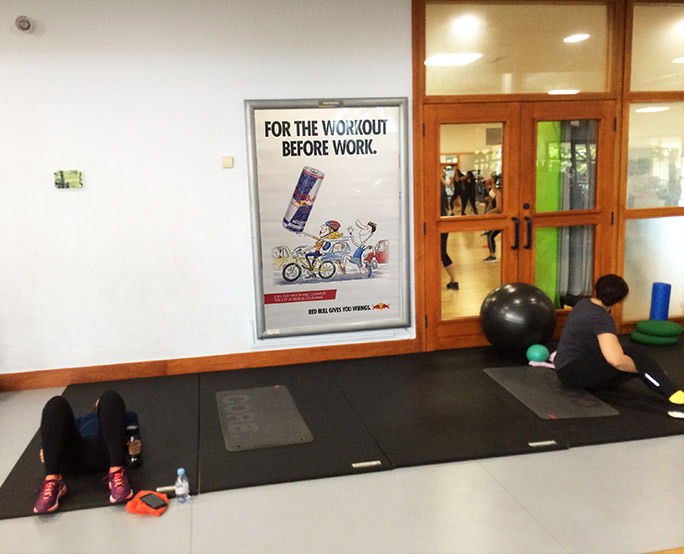 Our gym network captured their target audience whilst in a positive mindset & highly receptive. D6 screens, standees & 440,000 product samples encouraged trial of the product, whilst coupons ensured future purchase. 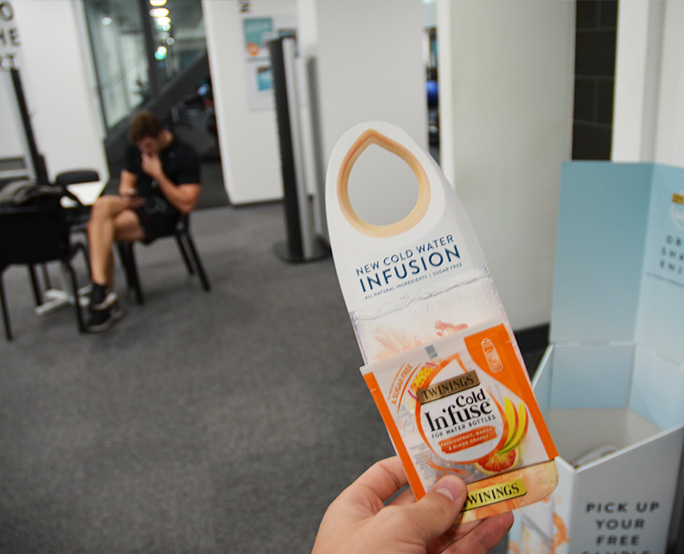 Post campaign feedback proved gym members loved trying a sample of Twinings and getting money off with an exclusive coupon as samples were “flying out of the dispenser”. The BBC wanted to build excitement around the upcoming new reality show ‘The Greatest Dancer’ in an environment with lots of active, young people who are likely to watch a reality show. 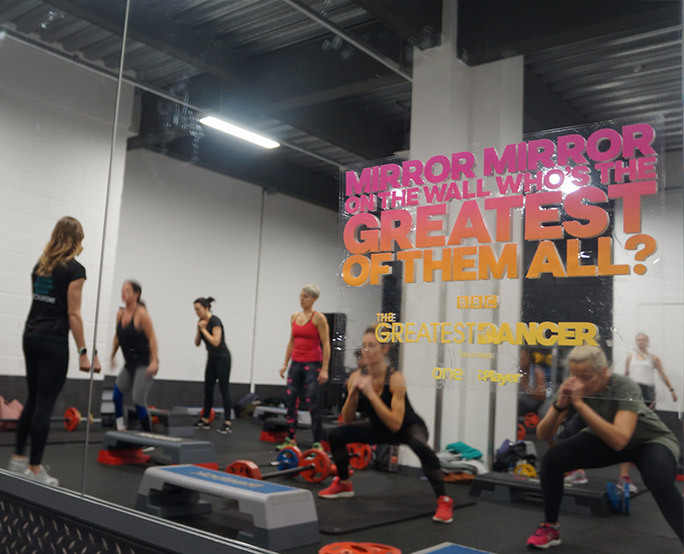 We delivered a highly creative campaign by using studio mirror vinyls, supported with D6s, across our gym estate, capturing their target audience in a moment that was contextually relevant to the show. 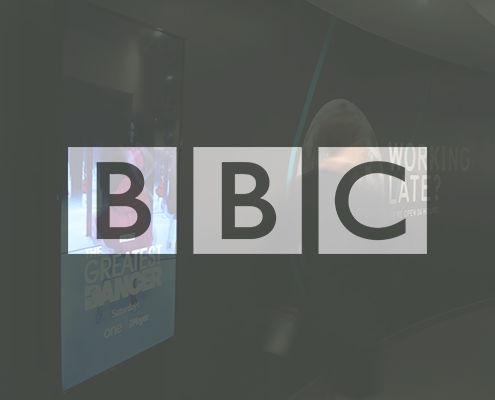 The campaign allowed the BBC to reach their target audience in a highly relevant way, and helped to attract a total of 4.6m viewers in its first weekend. 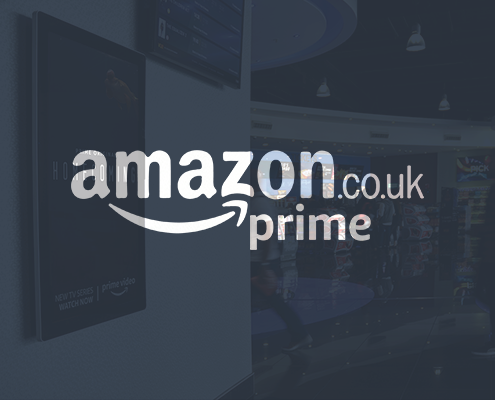 Wanting to promote the release of their upcoming TV series ‘Homecoming’, starring Julia Roberts, Amazon secured a launch advertiser spot across our Vue Entertainment network. 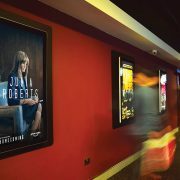 Highly impactful video walls and D6’s were used to top and tail the on-screen cinema experience and portray the ‘big release’ feel of the TV series alongside film trailers. 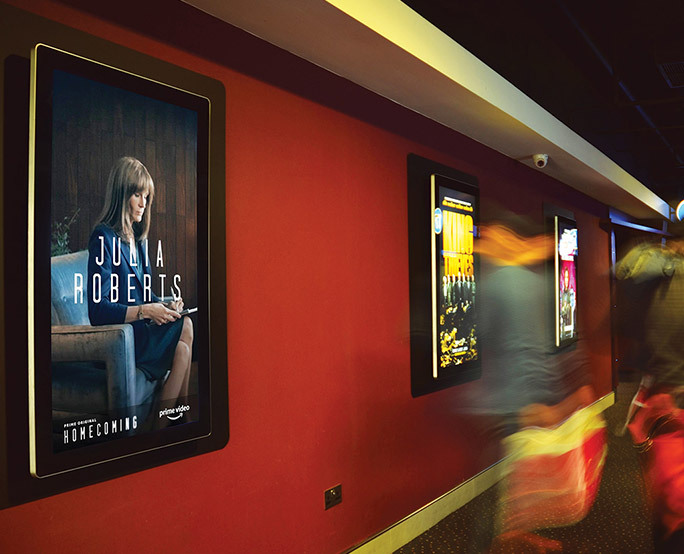 The dynamic capabilities of the screens allowed them to run an evening only campaign to reach huge numbers of their target audience around key films. 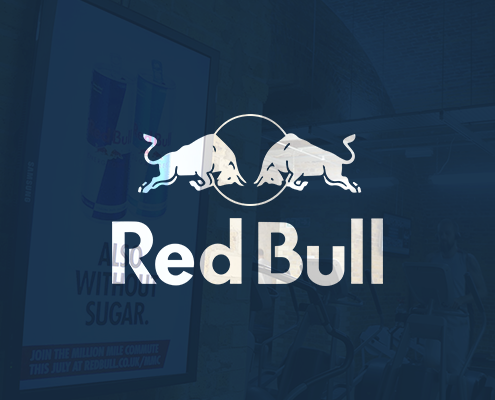 Red Bull wanted a fitness focused, city commuter audience to actively engage with the Red Bull brand by taking part in their July commuting challenge ‘The Million Mile Commute’ and be in with the chance to win a number of fantastic prizes. 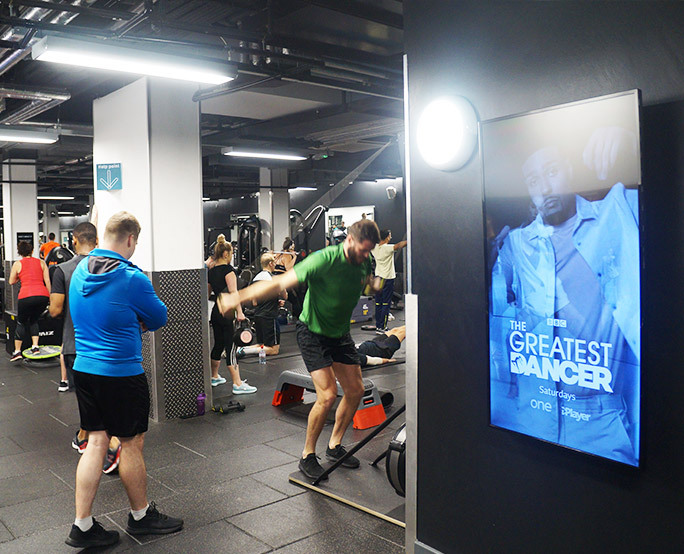 Using D6 screens in our gym network, their full motion creative engaged with their target audience in a contextually relevant environment. driving them in-store to pick up a can of Red Bull and take part in the challenge. 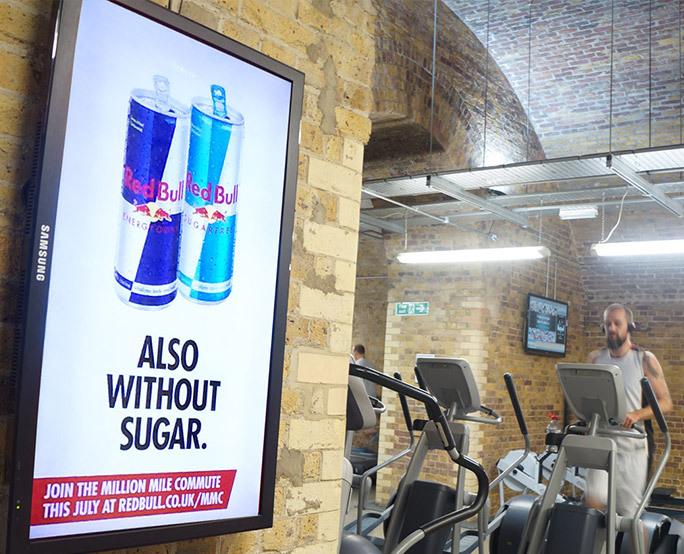 The million mile target was smashed in a month, 2 months faster than last year, with over 12,000 city based commuters taking part in the challenge and engaging with the Red Bull brand in a fun and collaborative way.